Since the coming of MP3, computers have become fashionable for use as music machines. You can rip your favorite songs from your CD collection, then put them on your MP3 player and have music on-the-go. 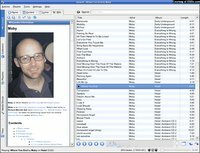 Computers are great for organizing your entire music collection, and you can even make mix CDs from your computer for use in your car. For many that player is AmaroK. AmaroK supports import and playback of MP3, M4A, Ogg, WAV and WMA. 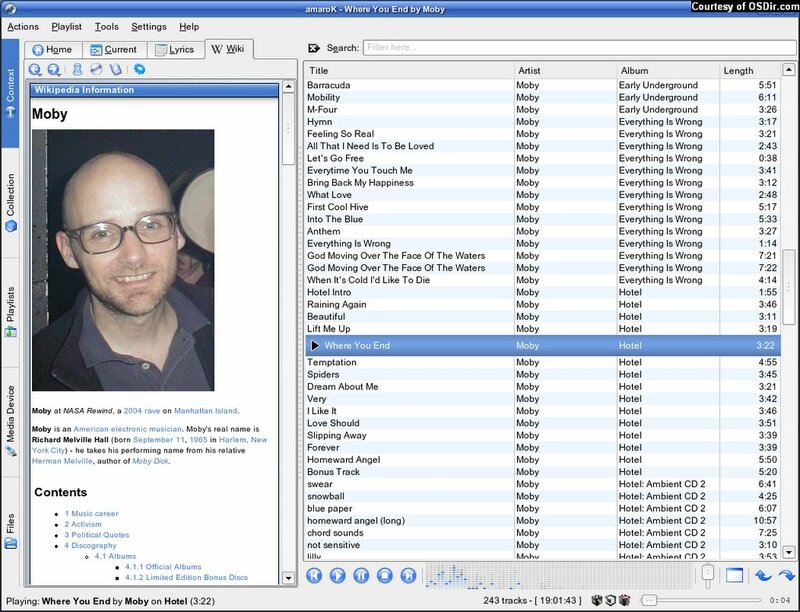 It allows you to create file trees using artist, album, year, or genre in any order. So to find, say, all the albums that were released in a particular year, sort by year first and then by album, and a file tree opens that lists all the years in the first level, and all the albums in the second. There's also a simple search filter to find something particular.